Athletically elegant outside, it's in the E-Class cabin where your senses come alive. Vivid screens and flowing shapes entice the eyes. And from multitouch controls to aromatherapy and a hot stone massage, wherever you touch, it caresses you back. Two smartphone-like pads control nearly all the car's features without taking a hand from the wheel. Swipe and select from the central screen with your right thumb. Change settings on the screen between the gauges with your left. A panoramic 12.3-inch screen unites navigation, entertainment and countless comfort features. Sharper graphics and more intuitive menus are clear to the eye and the mind. A second 12.3-inch graphical instrument cluster is optional. Standard COMAND®(R) navigation helps get you where you want to go with 3D maps, live traffic, searching via Yelp or HERE? and lane advice before turns. The touchpad controller lets you control by tapping, twisting or even handwriting. The E-Class cabin flows with the contours of nature. Fine-tailored seats are sculpted to match the muscles in your body. Exotic yet sustainable woods sweep door-to-door, their natural glow edge-lit by 64-color LED ambience. You don't measure a car's efficiency just at the gas pump. It's also something you feel in its confident agility. How it moves into traffic, or negotiates a surprise. It's how an E-Class always feels right for the times and in the moment. 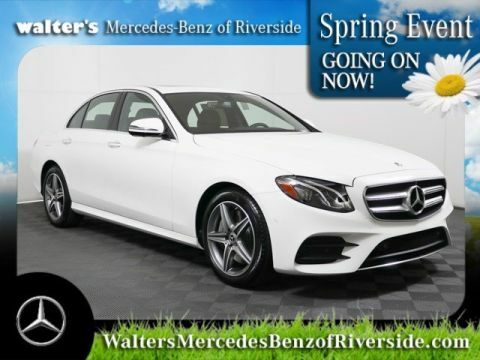 The E 300's turbo engine squeezes more power from less fuel, atomizing and itemizing every drop and self-tuning every few milliseconds. A new 9-speed transmission responds more quickly yet relaxes more efficiently. While the E-Class passionately grips the pavement, it holds its favorite driver with equal affection. The enduring support of its ergonomically contoured and crafted seats can be further enhanced with active side bolsters. DYNAMIC SELECT dials in the car's performance character with the tap of a console button. The throttle, shifting, chassis and more sharpen in Sport mode, ease up in ECO. There's even a mode you can set up as you like. 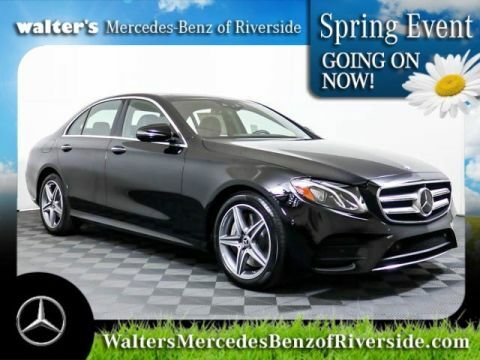 This isn't just the most advanced E-Class yet. With technologies never before offered on a production car, the E-Class writes a new chapter in the story of driving: Where cars can talk to each other and look out for you, in ways you never imagined. 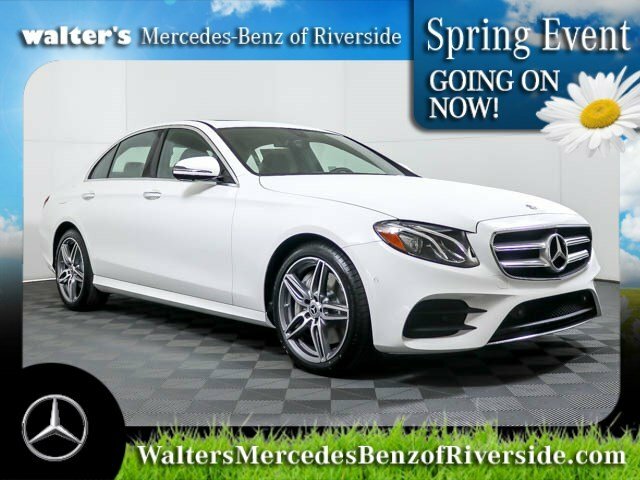 Groundbreaking Car-to-X technology connects your E-Class to a central information resource, to send you in-car updates about driving conditions before you get to them. Your car can also report hazards, to help other drivers with Car-to-X. Mercedes-Benz engineers are human engineers first. When PRESAFE®(R) Sound senses an impending collision, it emits safe pink noise via the audio system to pre-trigger your ears' natural defense against the loud noises of an accident. 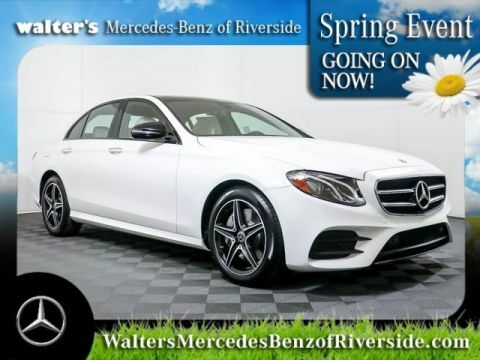 Let the 2019 Mercedes-Benz E 300 impress you in person today at Walter's Mercedes-Benz of Riverside located at 3213 Adams St. Riverside, CA 92504.